Best-selling novelist Emma Jean Sullivan longed for a baby for years, but after she and her husband Peter were unable to conceive, she staunchly vowed to become the standard bearer for all childless couples. And she succeeds spectacularly. At age 48 (43 according to her blog, Life, Full Tilt) Emma Jean enjoys a rabid anti-baby fan base and her novels have sold millions. But now she confronts a dilemma larger than any that her heroines have faced: she's pregnant. And the baby's father is not her husband. Through no fault of her own (he was just so damned adorable), Emma Jean had begun a passionate affair with Riley, a fetching airplane mechanic she met at a book signing in L.A. Terrified of losing both her fan base and her identity, she struggles to maintain her sham brand and her marriage. But Peter is busy embezzling Emma Jean's money and completely uninterested in fatherhood, and Riley has his hands full with problems of his own. Not only that, her latest novel is a miserable failure, and a Vanity Fair reporter, who plans to out Emma Jean's pregnancy to her fans, is stalking her. What's a suddenly broke, failing, middle-aged, pregnant novelist to do? Why, flee to a glamorous resort town, of course. There, Emma Jean plots her next move. 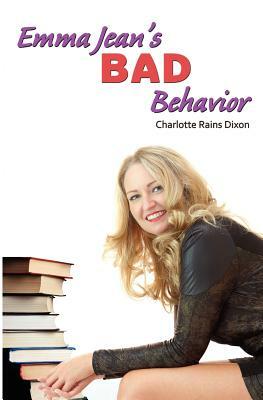 Charlotte Rains Dixon is a writer and writing teacher. She has published numerous articles and stories as well as three non-fiction books. Charlotte received her MFA in creative writing from Spalding University and teaches in the Loft certificate-writing program at Middle Tennessee State University. She lives in Portland, Oregon. Visit her blog at www.charlotterainsdixon.com.